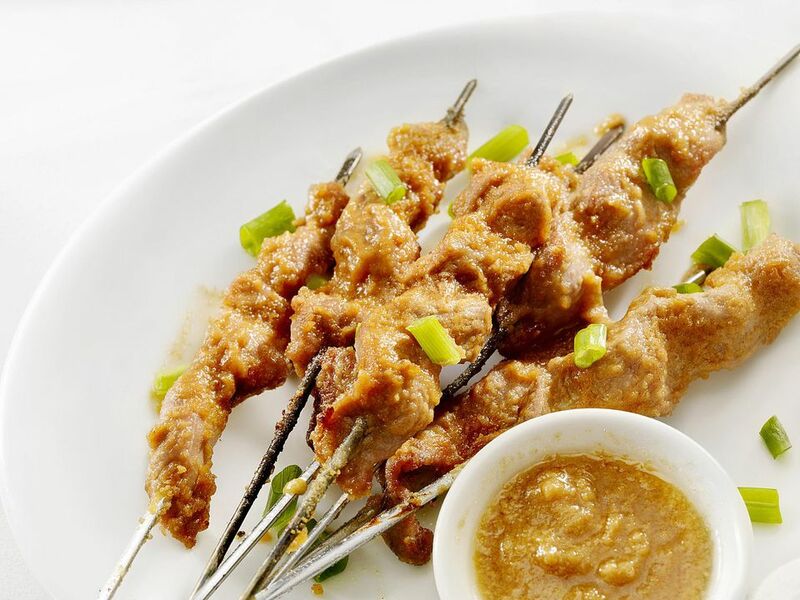 This marinade is similar to an Asian Satay dipping sauce. The flavors of this spicy peanut sauce work well on any meat. 1. Combine everything in food processor and mix. Marinate pork for up to 8 hours. 2. Remove the chops from the marinade and simmer the marinade over medium heat for 5 to 6 minutes, stirring often. 3. Grill the chops and use the marinade as mop while grilling.